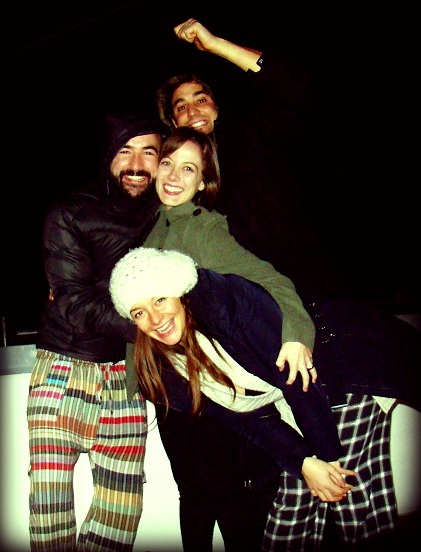 To ring in the New Year, Joseba and I headed off to Berlin to meet up with our friends, Madeline and John, from London. 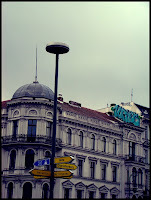 We arrived 2 days before them and took that time relive our last trip to Germany's capital city over a year ago. 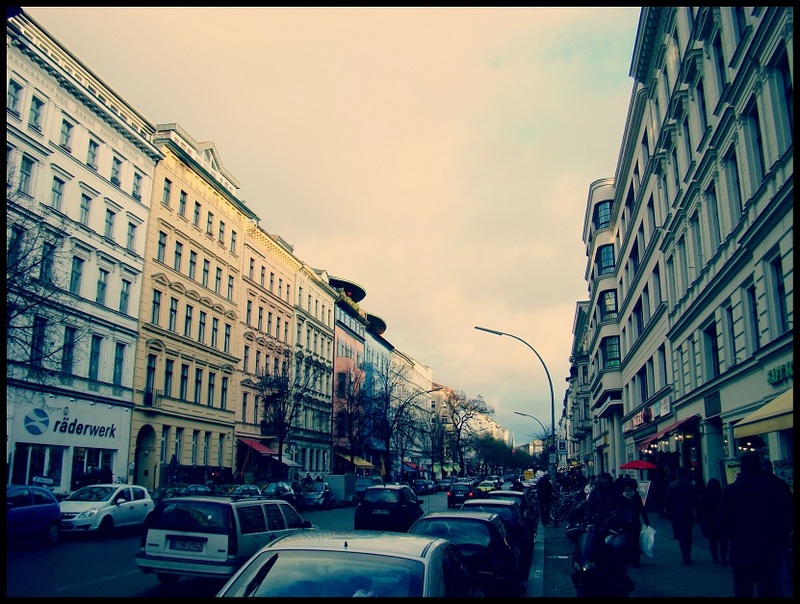 Again we rented an apartment from Craigslist, but this time in the neighborhood of Kreuzberg that we loved last time we visited. 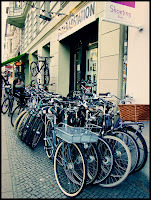 Our first night however was dedicated to our old neighborhood Prenzlauer Berg to the north of the city center. On a mission to find the restaurant where we had an unexpectedly tasty meal before, we managed to find our way to Der Imbiss, which means 'food to-go' in German, and although it is a small space, is great space to eat-in. While what Joseba ordered, Popeye's Cigar (a spinach wrap with melted cheese and spices) was no longer on the menu, my massive burrito was but with the menu change got a whole lot spicier than I remembered. So, while different it was great to revisit something from our first trip together. Soon after, tired from travelling since 4:45am that morning, we headed back to the apartment. 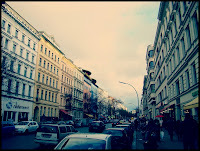 The next day we spent poking around our neighborhood Kreuzberg. When we were there the first time, we had only been able to spend one day in the area - admiring the gorgeous buildings and walking along the stretching Spree River canal on a oh so sunny day. 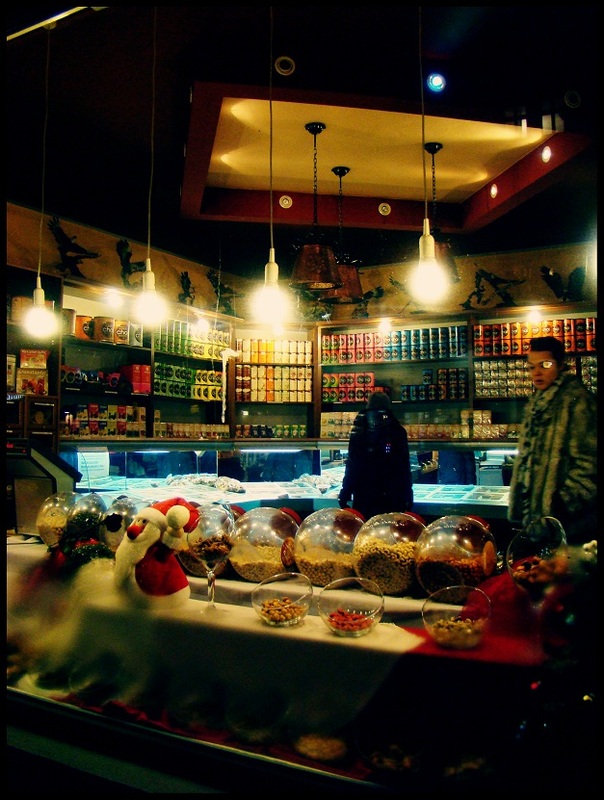 Known as an immigrant hotspot, in 2006 more than a third of the residents of this neighborhood south of the city center weren’t German citizens. This diversity is the key ingredient to the community’s eclectic spirit. 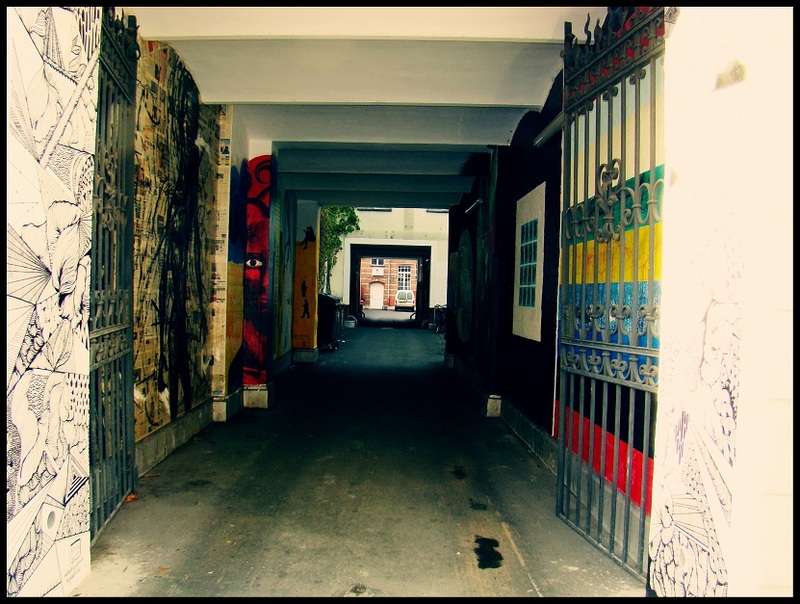 From punks and creative artists to students and gays, the area oozes bohemian vibes and provides travellers a unique view into Berlin from the past as well as the current and trendy melting spot. 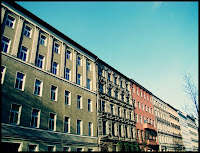 With its start in 1820, Kreuzberg didn’t gain much momentum until the mid ccentury with the industrial boom which called for more housing and quick. After WWII, the borough was surrounded on 3 sides by the Wall and became infamous as an alternative and squatters place, for which is still claims a bit of fame. 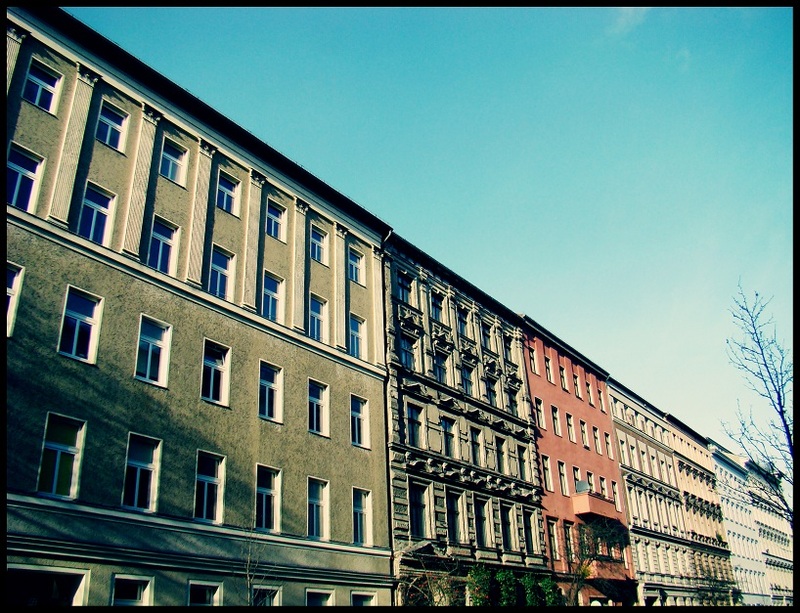 After the Wall came down, Kreuzberg was no longer isolated from the rest of the city and with government controlled rents, immigrants flocked to the area to call it home. During the War parts of the neighborhood were badly bombed and new cheaply built apartments were erected to accommodate the residents. Other areas, however, were left untouched, and provide Berlin’s best look into the city before the chaos began. Mixed within the antique buildings are the quirky second-hand shops that the neighborhood is also known for. While some were as big as warehouses, we didn't manage to find anything we desperatley needed and just continued our neighborhood exploring. Finally hunger set in and we had our hearts set on a Thai food spot called Phuket. 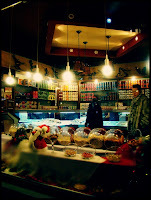 We were pretty surprised with all of the cafes because they had prices to die for and it seemed like quite decent meals. In this Thai we each got soup, a main meat dish with rice and 2 spring rolls for a total of 13€ which was shocking. You can never get that here in Donostia! For the evening we decided to try and find a fun spot to dance to some good tunes. We found a funky soul DJ event at a bar in the neighborhood but when we arrived found out it was more rave music than Marvin Gaye and settled on a little bar in the area that suprised us with thier music selection. The gamit ran from current stuff to 50s and 60s hits and although everyone was smoking (which you can't do indoors in Spain anymore, so we aren't used to it) we had a good time dancing the night away. All boogied out we had a good sleep and woke up to the ringing of our doorbell - our friends Madeline and John had arrived from London! We spent the day showing them around the neighborhood and then stopped off at the grocery store to stock up on New Year's Eve goods - rum, coke and pinapple juice - the essentials haha. After a much-needed nap our End of 2011 party started in the apartment, with pajamas and all. With the rooftop we could admire the fireworks being set off all over the city. While we American save some 4th of July fireworks to ring in the new year, Germans sell them everywhere leading up to the day - even the supermarket! So, you can imagine the lit sky counting down to midnight! With a bit of classic 90s music to sing along to, we successfully spent the last few hours of 2011 belting out hits, dancing in slippers, sipping drinks and loving every last firework. 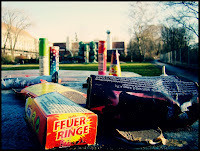 To be like the Germans, we grabbed a beer for the road and headed to Brandenburg Gate for the official countdown. Having arrived too late to actually enter the gated area, we made our own party compliments of our singing/dancing skills again. Fireworks lit up the streets - from a scarily close distance - and finally at midnight the big show came as well as New Year's hugs and kisses. Having started celebrating so early though...we didn't make it to much partying that first night of 2012 and instead retired early. For our first day of the year, although drizzly, we walked along the East Side Gallery - the longest part of the Berlin Wall that is still erect and has been painted by artists from all over the world. Quite a sight, I was happy to have the chance to see it again. 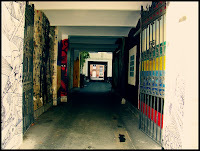 Along the same artsy lines, we next headed to the center of town, Mitte it is called, to check out the Tacheles Art House. Originally in the Jewish Quarter, this was once a department store and later a Nazi prison, but after the Wall came down it was taken over by artists and still remains in thier hands to this day. 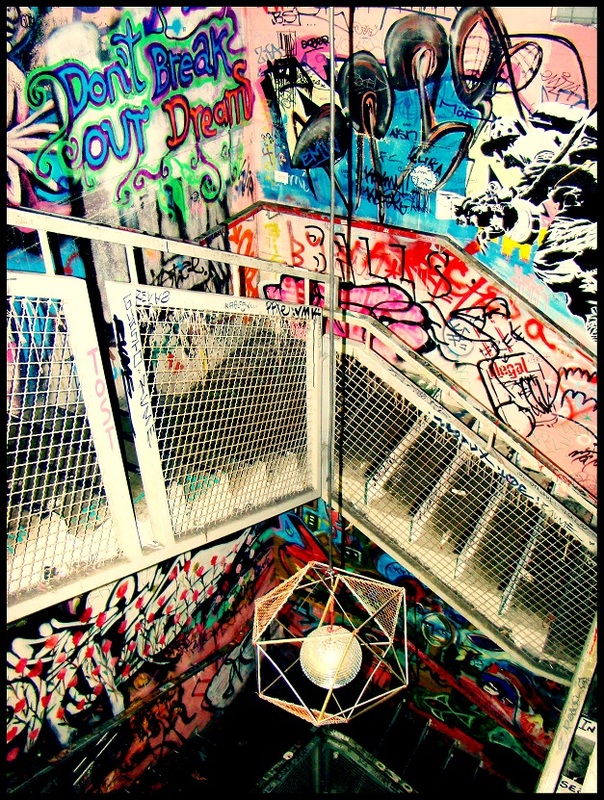 With floors and floors of rooms where the artists display thier works and maybe some even live, the whole place is a grafitti dream with not a single part of white wall. Sadly, the rain crushed most of our other plans for the evening and the next day in the city and we eventually just managed to go from bar to bar, sampling food and drinks while taking in the view and best people watching ever. My favorite bar, same as last time, is one called Luzia. It is a large, deep bar with the entire front fachade as a window. To enter you walk up a few steps and upon entering you see a hodgepodge of mismatched tables and chairs, antique chandiliers, and a vase of fresh flowers and a glowing candle on each tabletop. As kismit will have it, the exact place we sat last year was free - a corner bench and table right next to the window. In Spring the window was open and flower boxes came up flesh with the bench, but with being in the middle of Winter the glass was closed but didn't take away any of the charm. The bar in the daylight would probably look quite unpleasing to the eye - painted a shiny gold, with the pipes exposed and nothing matching, but with the dim lights that gave the place such a intimate mood, it was perfect. We spent over 2 hours just chatting and enjoying German beers and wine and good company. With a tasty burger from down the street restaurant cleverly called Kreuzbuger, our last night in Berlin was a great calm way to start the year with friends. After saying goodbye the next morning, Joseba and I spent our last few hours in Berlin wandering yet again and then eating an incredible and yet again cheap lunch. This time a massive chicken pasta in peppercorn sauce and a pizza that is all the rage in the city - thin pizza bread, rich sauce, some mozzerella, arugula and a bit of shredded parmesan - again for less than 15€. Over lunch we decided that Berlin, being so special to us and our relationship, should try to be a destination spot of ours each year. While I did brave the cold this year I didn't die as much as I thoght I would, but I think if we are planning our next trip it should be in Summer. Will keep you posted as to our next journey to this addictive big city!